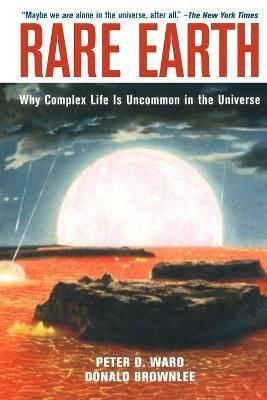 What determines whether complex life will arise on a planet, or even any life at all? Questions such as these are investigated in this groundbreaking book. In doing so, the authors synthesize information from astronomy, biology, and paleontology, and apply it to what we know about the rise of life on Earth and to what could possibly happen elsewhere in the universe. Everyone who has been thrilled by the recent discoveries of extrasolar planets and the indications of life on Mars and the Jovian moon Europa will be fascinated by Rare Earth, and its implications for those who look to the heavens for companionship. Illustrations note 2 Tables, black and white; XXXIV, 338 p.
"...likely to cause a revolution in thinking..."
"...[the book] has hit the world of astrobiologists like a killer asteroid..."
"...a sobering and valuable perspective..."
"...Peter Ward and Donald Brownlee offer a powerful argument..."
"...a stellar example of clear writing..."
Peter Ward, geboren 1980 in Essex, studierte Englische Literatur an der University of Southampton und arbeitete danach als Einkäufer bei Sainsbury's. Heute lebt er in London und schreibt phantastische Romane in der Tradition von Douglas Adams.